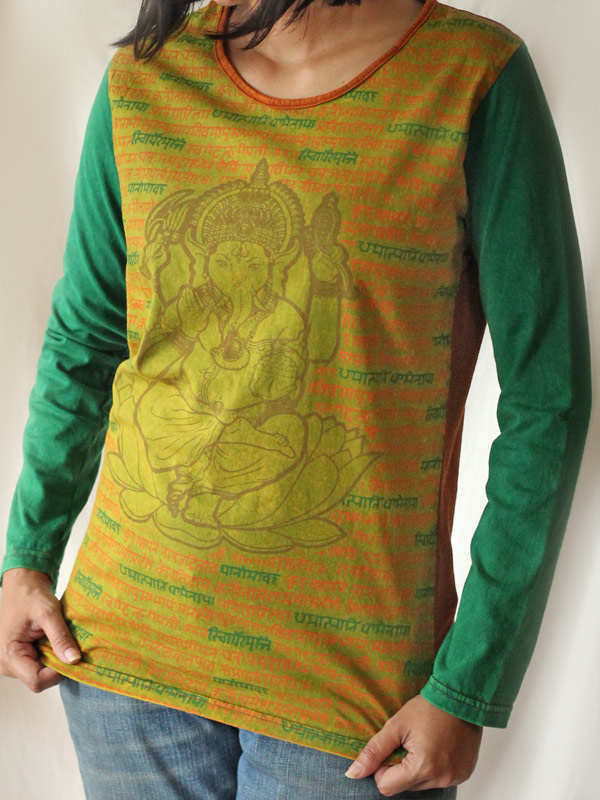 100% vintage look cotton top with printed Ganesh symbol and Buddhist script mantra. The top looks like the picture in the catalog and fits well. I will wear it to my Yoga class. 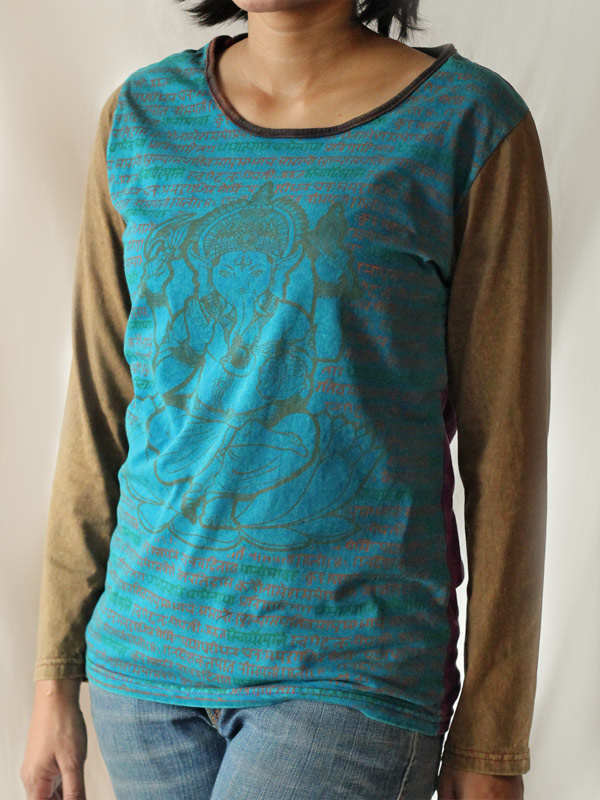 Great print and fun design on a sturdy well-made shirt.